"Her Stories - Filmmakers with African Roots" is a film event organised by Frauenkreise Berlin and the Educational Institute of Berlin Heinrich Böll Foundation in partnership with AfricAvenir International e.V and AFROTAK TV cyberNomads. Frauenkreise Berlin's objective is to provide a platform for creative work by women, who continue to be underrepresented in the world of business as well as in the arts; black women in particular. 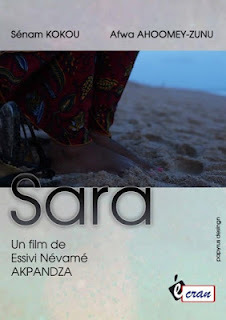 During five evenings between 21 February to 13 June 2013 films will be screened by Black women with African roots. The filmmakers deal with issues of identity and cultural positioning. In addition to film screenings there are also discussions with the directors. 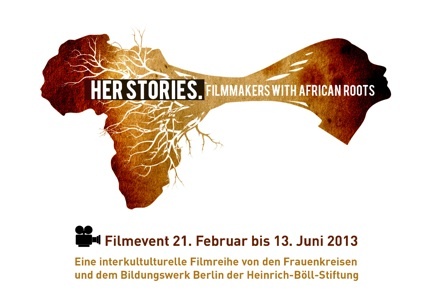 With the film series "Her Stories - Filmmakers with African Roots", Frauenkreise Berlin would like to give eight Black female filmmakers the opportunity to speak for themselves and tell their stories and experiences from their own perspective. Therefore, films from different corners of the world have been collected, which include those that will be shown for the first time in Germany. While a person's race certainly has no correlation with the quality of the films they make, unfortunately, it does affect the amount of opportunity they receive. The same fact is essential for being a woman. Female filmmakers are still underrepresented not only in Africa but also in the European film industry. And it probably has an effect on the type of stories they tell us. Hopefully with this line-up of films we will introduce you to some directors and their films about Black culture and people that you never knew existed. Perhaps one may ask why black female directors need to be lumped together in a forum dedicated only to them, the answer is simple: to give them visibility. Alimata Salembéré, a founding member of Fespaco and president of the organising committee of the first festival in 1969, was also a director at the Burkinabé television, Radiodiffusion Télévision Voltaique (RTV). She then served as General Secretary of FESPACO from 1982 to 1984, overseeing the 8th FESPACO in 1983. Alimata Salembéré was also minister of Culture of Burkina Faso 1987-1989 and minister of Information in 1987. "I am very happy and proud to see that women are being honoured and I especially congratulate the Secretary General, Michel Ouédraogo who had the courage to make this decision and succeeded in actualising it. Though I am a pioneer, I am no longer involved in the ongoing activities. However, theme after theme, edition after edition, I watched its progressive development with a great deal of satisfaction. Especially, now with over 100 films, having seen its modest beginning with a half dozen African films. The expectations are that the policies that are being put in place will be able to define our film policies. I recall in 1969 when we began the first "days of cinema" event, we had no films nor confirmed filmmakers. It was only in 1972 that we had the first feature film." [Excerpted from an article by Aimé Nabaloum in Fasopresse.net, 18 January, 2013]. Alimata Salembéré est une des membres fondateurs du FESPACO et la présidente du comité d'organisation du premier festival en 1969 et un moment réalisatrice à la télévision Burkinabé (Radiodiffusion Télévision Voltaique - RTV). Elle a aussi servi comme Secrétaire Général du FESPACO de 1982 à 1984. Après avoir supervisé le 8ème FESPACO en 1983 Alimata Salembéré a aussi nommé Ministre de la Culture du Burkina Faso en 1987-1989 et ministre de l'Information en 1987. « Je suis très heureuse et fière de voir que les femmes sont à l’honneur et je félicite particulièrement le délégué général, Michel Ouédraogo, qui a eu le courage de prendre cette décision et de réussir à la concrétiser. Je ne suis pas dans l’action au FESPACO quand bien même je suis une pionnière. 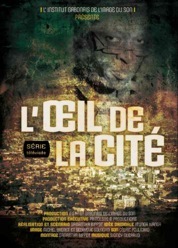 C’est avec beaucoup de plaisir que j’ai vu l’évolution positive, thème après thème et session après session, et surtout de voir que l’on a commencé avec une demi- douzaine de films africains et nous sommes à plus de 100 films aujourd’hui. Les attentes sont que les politiques qui seront là puissent définir des politiques pour notre cinéma. Je rappelle qu’en 1969, quand nous faisions les journées cinématographiques, nous tenions aucun film et aucun réalisateur confirmé. C’est seulement en 1972 que nous avons eu le premier long métrage. » [Recueillis par Aimé Nabaloum, Fasopresse.net, 18 janvier 2013]. 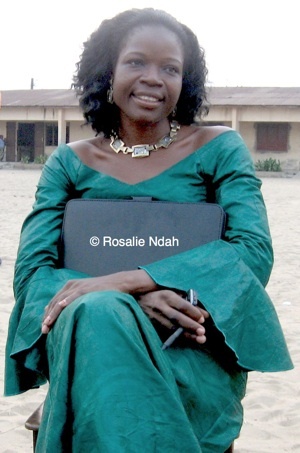 Interview with Rosalie Ndah, president of CNA Afrique-Cinéma Numérique Ambulant (Mobile Travelling Cinema) and president of CNA Benin by Beti Ellerson in collaboration with Stéphanie Dongmo, Critique (film critic, writer, journalist, Cameroon Art Critics CAMAC). Translation from French by Beti Ellerson. Could you described the CNA for us? The first objective of the Cinéma Numérique Ambulant, known as CNA, is to promote African cinematographic heritage in all of its diversity. It was actually introduced in Africa for the first time in Benin in 2001. During the last twelve years it has progressively expanded to Niger, Mali, Burkina Faso, Senegal, Cameroon and Togo. CNA has become a network of associations and the coordination structure, CNA Afrique, is headquartered in Ouagadougou, Burkina Faso. The CNA is an important cultural tool for communication and entertainment, bringing African films to African populations marginalised by their geographic or socio-economic isolation. It also provides immediate accessibility to the public, giving it both a popular aspect and an educational value. The CNA opens up possibility and access to a collective imaginary, a source for reflection, and oral testimony and dialogue among the populations regarding different traditional practices and their evolution. CNA screenings take place outdoors and are not like other events which are viewed with little reflection before returning home. The CNA encourages the exchange of ideas regarding the world and cultural intermingling among people. In so doing, it cultivates a discerning cinema-going public and participates in the development of African culture. 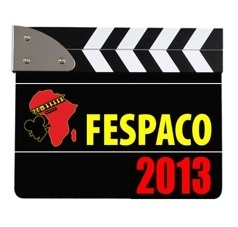 What are the CNA activities at Fespaco 2013? Since 2005 the CNA has always participated at Fespaco with various and noteworthy activities. For Fespaco 2013, its activities are as follows: A meeting is scheduled for 24 February for the expansion of the CNA Afrique board. CNA Afrique is opening its board to prominent figures who have supported the CNAs throughout the years, and to respected players in African civil and cultural society. 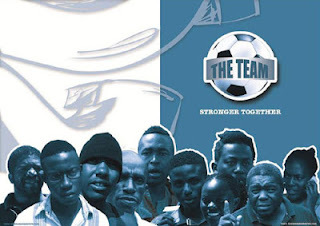 To add a special touch to the festival, each evening the CNA network is organising a screening of a film that has been especially popular with the audiences. This event, which is called "Fespaco Classique", will take place 25 February to 01 March at Maquis le Festival, which since the last Fespaco is called "Village CNA". This is an opportunity to have the participants of each film talk about the context of its creation, the conditions of the film shooting, and the production, etc. The CNA programme facilitators will present the feedback from the spectators of each film screened and African films in general. They will also give a report on the oral testimonies of the reception of and audience responses to these films. All of this information is in effect meticulously recorded by the CNA facilitators in a notebook at the end of each outdoor screening. 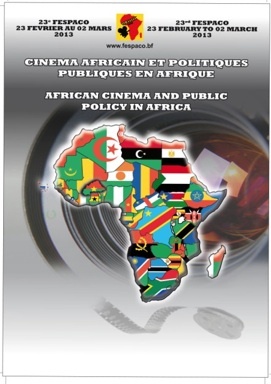 On 26 February, the CNA will set up a commission of rights holders made up of film professionals: filmmakers, producers, distributors, organisers, cinematographers, and those overseeing authorial rights and copyrights, in order to improve its remuneration policy, and to integrate its economic model into the African cinema economy. The commission will meet every two years in tandem with Fespaco. Its goals are as follows: to evaluate on an annual basis the participation of CNA countries in the remuneration of royalties, depending on the budget of each of the associations; identify the claims of the rights holder; notably those sold to several structures; follow up on the actions of the CNA and its remuneration policy as it relates to the profession; facilitate the affiliation of CNA countries with the rights holder offices of each country; and assist the CNA in networking and maintaining transparency in the profession. CNA in partnership with AfricaDoc, also has a presence at Fespaco with an evening dedicated to creative documentary filmmaking by women. What are the specifics of this event? On Friday, 01 March the evening will be dedicated to documentaries by women with the screening of two films. The discussion will be moderated by specialist of the film world: filmmakers, critics and CNA facilitators. Looking to organise an evening around award-winning classics of Fespaco, and noting that, since the creation of the Yennenga Stallion Award in 1972, there has yet to be a woman laureate, CNA wanted to organise an evening around the woman-directed documentary, an especially rapidly growing genre. AfricaDoc, our partner for this event, considers that, as a result of the agility of the digital, there are as many women as men who work in the area of the African documentary. It is particular to Africa, and in many ways thanks to the training and promotion by Africadoc. Yet, they often remain unrecognised. Evidently, there are exceptions, notably in Burkina Faso where women filmmakers are very visible. Many women filmmakers are turning towards the documentary rather than to fiction. First of all because the mode of production is much simpler than for a feature fiction; and moreover, because numerous African women documentarians come from journalism. At Fespaco 2009, those who stood on top of the podium for documentaries were all women. It is certainly necessary to take action as it relates to women's place in society, but also there is a willingness to raise the consciousness of the population in terms of traditions (such as lip tattooing in Mon beau sourire | My Beautiful Smile by Angèle Diabang), comportment (such as it relates to virginity in Le prix du sang | The Price of Blood by Anne Elisabeth Ngo Minka) or misconceptions (such as in the Witches of Gambaga by Yaba Badoe) which persist without really being questioned . It is definitely important to bring out the importance of women to fight harder to find a place in all sectors of society by highlighting their creativity, their personality, their intelligence, as well as their willingness to continue onward. To accomplish this it is important to increase considerably the literacy rate among women, especially in Africa. An illiterate society is a society in stagnation, always oriented towards the past. It is time for women to totally commit themselves to filmmaking with passion and determination in order to express their way of seeing the positive and of discerning opportunities, where a man would view it as senseless. A woman-directed documentary may show something special and different from what one may find in a film directed by a man. Representations by women are to be encouraged in all sectors of activity in order to better develop society. It is for this reason that the CNA is actively engaged in increasing the visibility of works by women filmmakers and for the dissemination of creative documentaries. This year, Fespaco is putting women in the spotlight. A remarkable occasion: all of the juries are presided by women. The large festivals, in fact, are only marginally accessible to women, and this does not happen only in Africa. Last year there was a petition by woman filmmakers to pressure the Cannes Festival to have more films by women in the selection for the Palm d'or. Even in the history books of African cinema, there is very little mention of women. In spite of the official discourse which pays tribute to women, there is very little impact. Hence the proliferation of women's film festivals. Moreover, until now cinema has been viewed as a man's profession. And the fact that in Africa there are such great difficulties to make a film and to earn a living from it, does not encourage women to enter into it.